When I first began researching Anna, I questioned whether her name was indeed “Anne,” which would have a similar pronunciation in German to “Anna,” or if her name was Anna. After sorting out that Anna’s true name was indeed Anna, I wanted to learn from where her September 21 or 22, 1515 or 1516 date of birth came. I looked at several English secondary sources, and not one source for Anna’s date of birth was cited. Around this same time, I became aware of Die Chronik des Johann Wassenberch, or, The Chronicle of Johann Wassenberch. Die Chronik was a contemporary chronicle written in Duisburg, which was part of the Duchy of Cleves. It spans from the late 15th century, then abruptly ends in 1517. It is thought that Johann Wassenberch died of the plague. I purchased the book and later forgot that I had so done until Die Chronik came in the mail. It was around 19:00 on 27 June 2017. I skimmed through the book and was happy to see that the dates of Anna’s parents’ wedding, the birth of her sister Sybylla, and the birth of Wilhelm were all correct and properly listed, amongst other important dates. I knew Amalia was born a few days after Die Chronik ended, so I was not surprised that her birthdate was not in Die Chronik. When I leafed to September 1515, there was no mention of Anna. I checked September 1516, then 1513 and 1514, and still nothing. I thought that perhaps her birth was not listed because she was a second child and second daughter. I was disappointed, but still happy to have the valuable resource. A couple of hours later, I was still skimming through the book and starting preliminary translation when I received a huge surprise: Anna’s date of birth was recorded, and it was given as 28 June 1515! Though I am not one who believes in fate, I looked at the clock and noted that in Germany at that moment it was the early morning of 28 June 2017, Anna’s 502nd birthday. I could not believe it! Chills went down my spine. This also meant that Anna was exactly twenty-four years younger than Henry VIII, making him exactly twice her age when they married. After conducting more research into German sources and critically thinking about the births of Anna and her brother, a June 1515 or possibly very early July 1515 birthdate seemed to make more sense than a September 1515 birthdate. 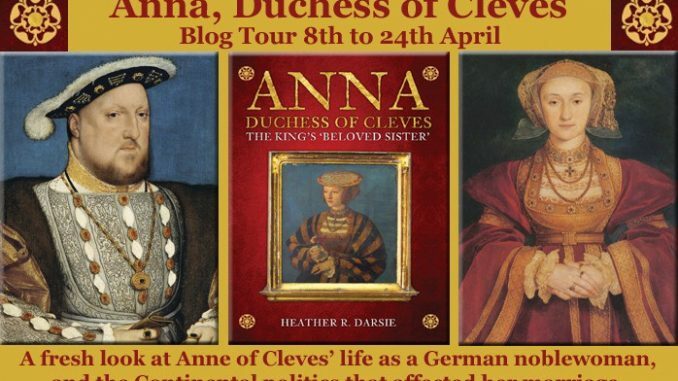 Following please find an excerpt from my book, Anna, Duchess of Cleves: The King’s ‘Beloved Sister’, discussing my argument for Anna’s true date of birth being 28 June 1515. As far back as 1844 in English sources, Anna’s date of birth has been given as 21 or 22 September in either 1515 or 1516. 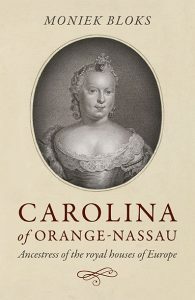 Agnes Strickland gave Anna’s date of birth as 22 September 1516 in Volume II of her Lives of the Queens of England, published in the mid-1800s, citing Part I of the Royal Genealogies by James Anderson, D. D., and published in 1732. Anderson simply gives Anna’s date of birth as being in 1516, with no citation. Strickland also relies on Maur-François Dantine’s L’Art de Vérifier les Dates, published in Paris in the early 18th century. It gives Anna’s birth as 22 September 1515 with no citation to any source. The archives in Germany do not possess any documentation about the birth of Anna. It is possible that the documents showing it have been lost…. [The] one primary source that does exist, Die Chronik des Johann Wassenberch, or Chronicle of Johann Wassenberch, is recognised as a contemporary source for events in the Lower Rhine region between 1492 and 1517. A review of other dates pertinent to Anna’s family, such as the marriage of her parents, and births of her older sister Sybylla and brother Wilhelm, correctly correspond with other known dates in the Chronicle of Johann Wassenberch. – Selected excerpt from Anna, Duchess of Cleves: The King’s ‘Beloved Sister,’ pages 17 to 20. Anna, Duchess of Cleves: The King’s ‘Beloved Sister’ by Heather R. Darsie is released 15 April in the UK and 1 July in the US. If you live in the US and cannot wait until July, you can order a hardcover from the UK Amazon. The book can be purchased here: UK Hardcover, UK Kindle, US Hardcover, US Kindle. So very little said about this woman. She, in my view, was probably the prettiest of all Henry’s queens. Very intelligent. She managed to keep her head and the kings friendship. A gal after my own heart. The author goes to the trouble of correcting earlier biographers about her subject’s Christian name being Anna and not Anne, but why is she calling Anna “Duchess” of Cleves? Also, to add to the confusion in establishing Anna’s date of birth relative to today’s calendar, one must recall that two calendars (Julian and Gregorian) were in use in various parts of Western Europe into the 18th century, so it would be important to know which calendar was being followed in the recording of Anna’s birth.